Military life can be hard…moving, leaving friends, moving again…and repeat. On the plus side, the opportunity to travel and discover faraway lands can’t be beat. I have wonderful memories of time spent overseas and am very blessed that my home reflects that special time of my life. Let me show you some of my favorites! 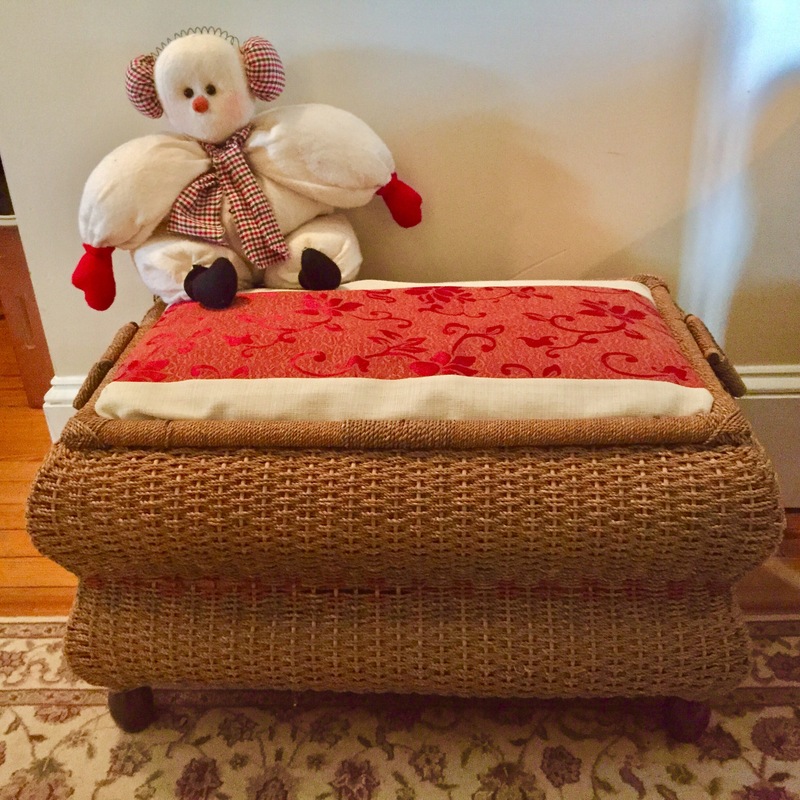 This gorgeous basket is an antique German wedding basket! They are very hard to find now in good condition, so I really am lucky to have one in my home. 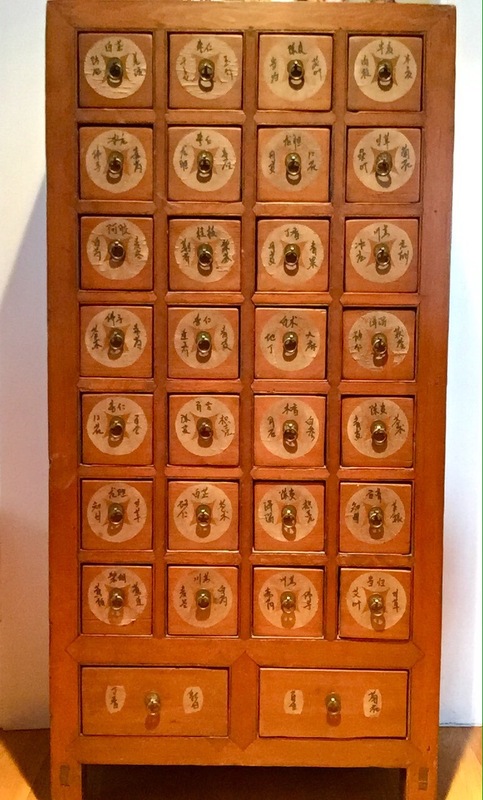 Can you just image the history behind this Korean Apothecary cabinet? I would love to have the labels translated. Medical care has certainly improved in 150 years or so. 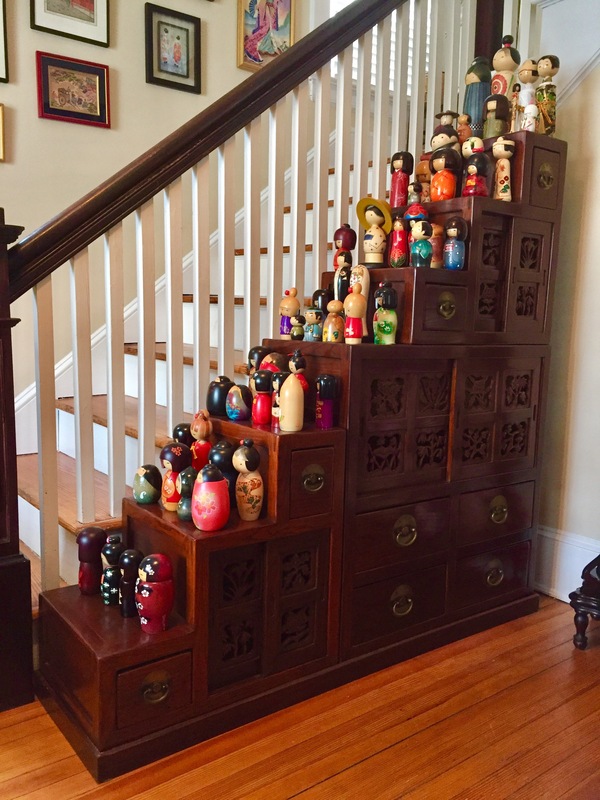 A Step tansu is a staple in a Korean home. The best part is the ability to easily take it apart and rearrange the cubes in many different ways. Kind of like building blocks for adults. OK, who didn’t smile when they saw this picture? 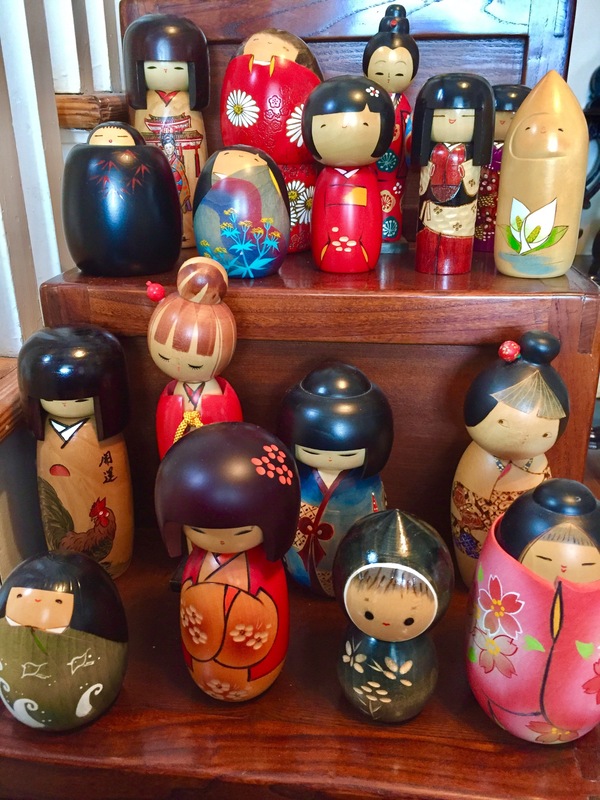 Kokeshi dolls from Japan have that effect on people. Of course this is our greatest treasure from another land…unique and priceless! True story…the first time I ever tasted Red Velvet cake was two years ago. I knew it existed, I watched ” Steel Magnolias” a few time but it never seemed very appealing. I was wrong. It was fabulous. In honor of my great discovery I have selected the most yummy sounding red velvet fudge! This week our household suffered a minor tragedy…our beloved slow cooker decided to officially retire from service and enjoy life in some landfill. Perhaps tragedy is a bit of an exaggeration, but what else can you feel when the piece of equipment that provided hot, delicious food for our table, at least twice a week, is just not…there? Target.com to the rescue and 3 days later, a younger and flashier model (it has a meat probe people) was placed gently on our front porch. Now, to break it in! Anyone interested in baked potato soup? I can think of nothing more comforting on a cold, blustery winter day, than to walk into the door to the sight and smell of hot, homemade soup. 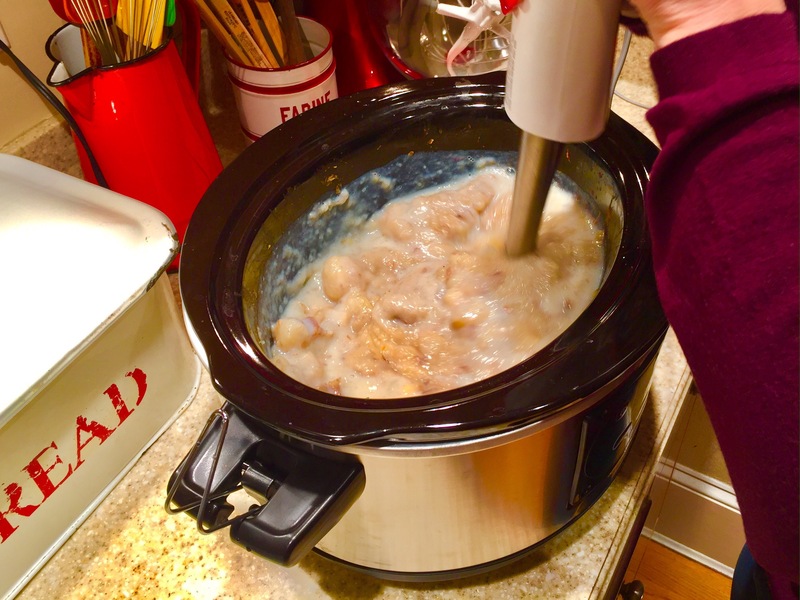 You won’t believe how easy it is to make…even with an old school slow cooker! 1. 8 cups of potatoes washed and diced into cubes. I leave on the skins, but this is a matter of taste. 2. 2 cups beef stock. Chicken, even vegetable stock would work, I happen to like richness of the beef against the potatoes. Once again a matter of taste. 3. An 8 oz package of cream cheese. 1. 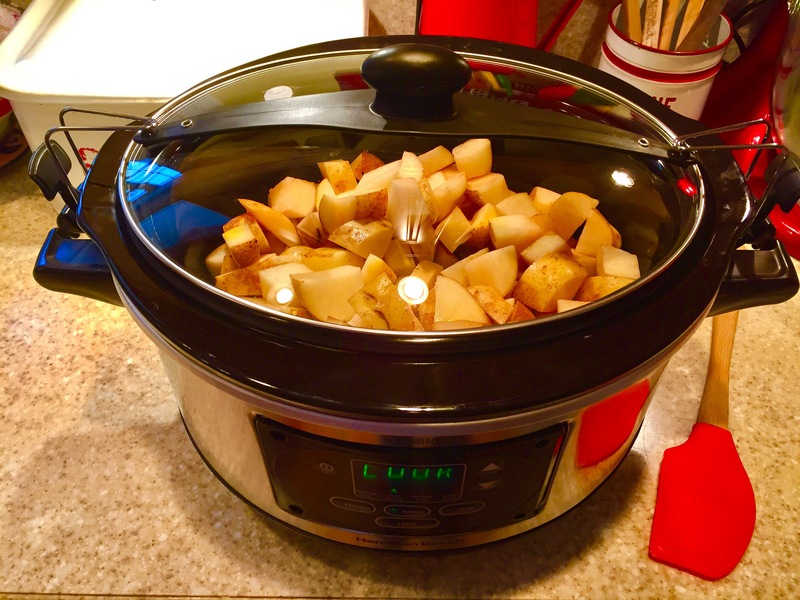 Place potatoes and stock into crock pot. Cook on low for 5 hours. If I am pressed for time, I bump up to high for an hour. 2. Mash potatoes in slow cooker and use my new favorite kitchen tool,the immersion blender, to blend to a smoother consistency…not too smooth you want some chunky goodness. Add the milk or cream. Stir well. 3. 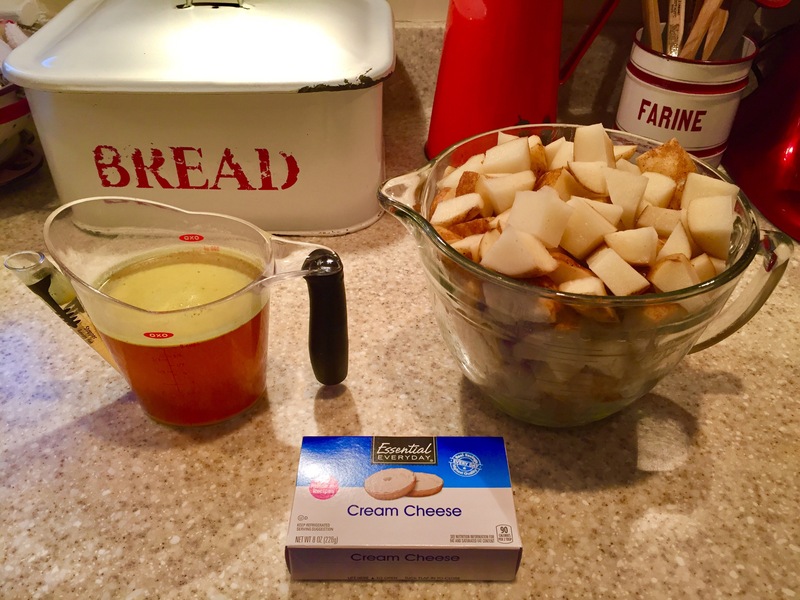 Add cream cheese to potato mixture and heat 30-45 minutes more. Stir occasionally as the cheese melts. 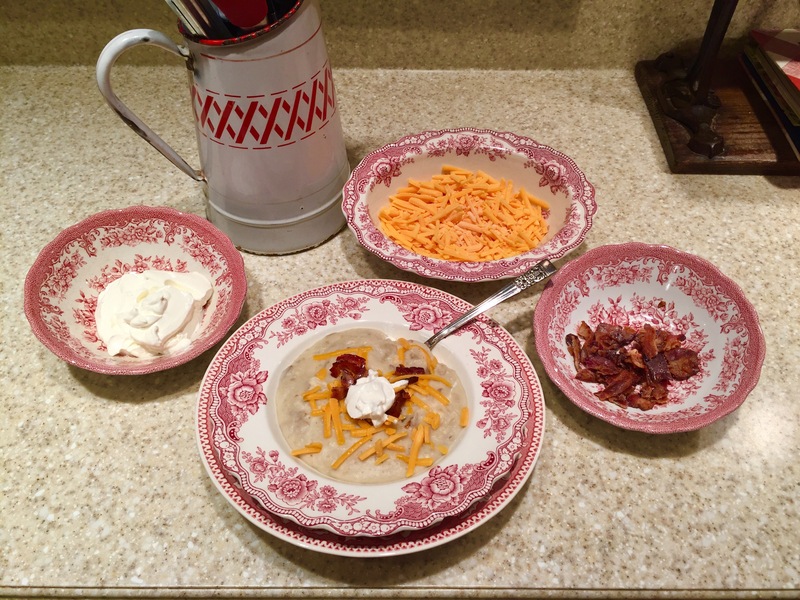 4.Remove and serve with a fun variety of toppings…bacon, sour cream and cheddar cheese are always a hit. Inspire me Monday. Show and share. 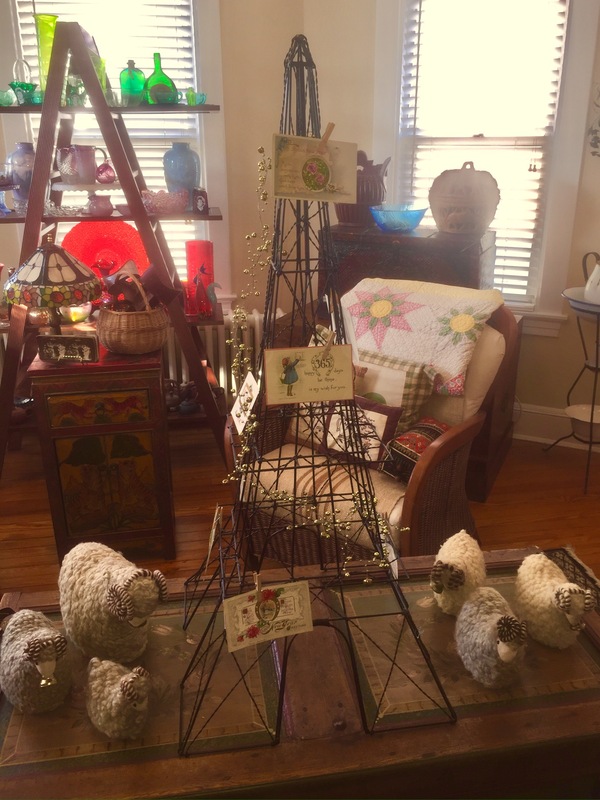 Inspire me Tuesday Tuesday at our house. The scoop. Make it pretty. Art of homemaking. Made by you. Metamorphosis Gods great garden. Wow us Wednesday. Let’s talk vintage. Share it. Tuesday with a twist. Wonderful Wednesday. Brag about it. Talk of the town. Moonlight and Mason jars share your cup. Share your style. Home and garden. Welcome home. Thursday favorites. Waste not. Coffee and conversation. Home sweet home. Friendship Friday. Your inspired design. Friday features. Grace at home. Feather nest Friday morning cup of joe. Home matters. Sweet inspiration. Vintage chic Oh hey Friday. Best of the weekend. Sunday at home. Share it one more time. Snickerdoodle. Simple Saturday. Silver pennies. Create with joy. Inspiration Monday. Digging it. Let’s add sprinkles. Amaze me Monday. With temperatures in the 50’s here in Annapolis it is quite easy to forget it is January. I am sure I will eat my words in a few weeks but, we need a good snowfall, enough to close down the town for a day or so. Hot cocoa by the fire and a good movie afternoon sound very good right now. My selection this week holds a special piece of my heart. 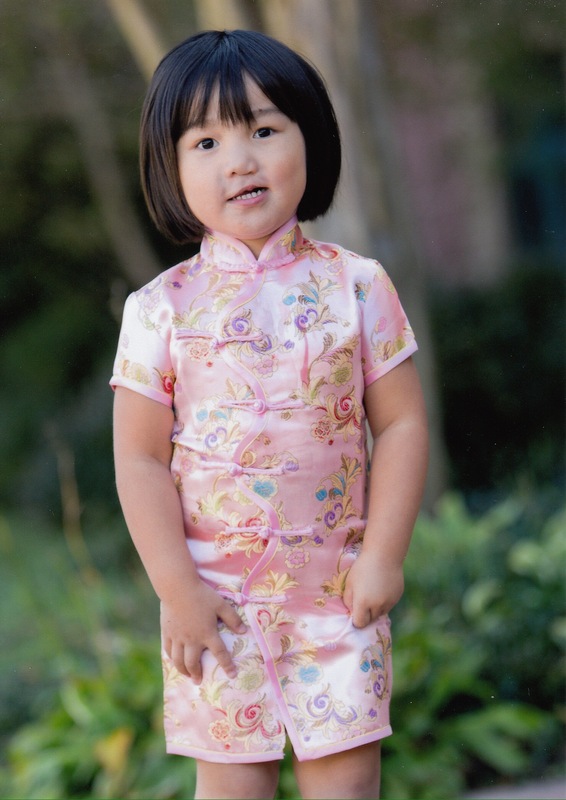 Chinese New Year is right around the corner. I know the Princess will love helping me make these yummy cookies. In the meantime, think snow! 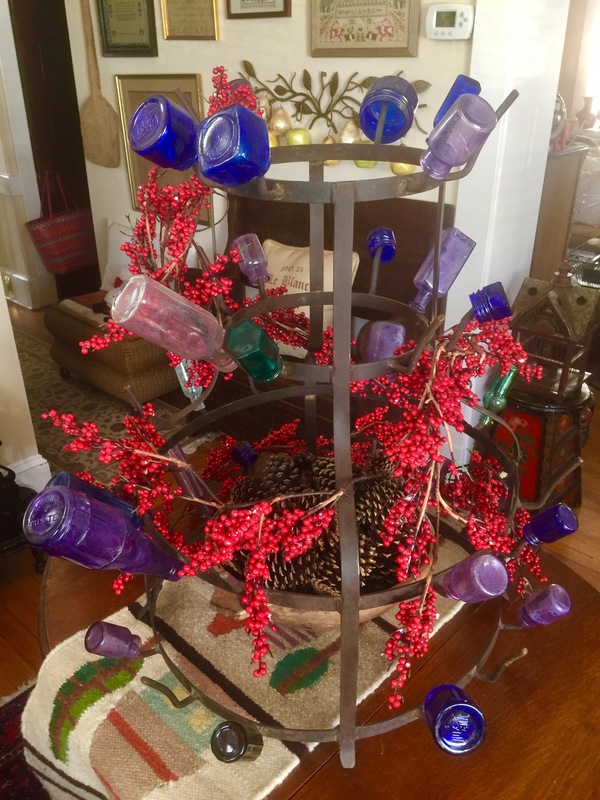 The world seems to simmer down after the glitz of the holidays. 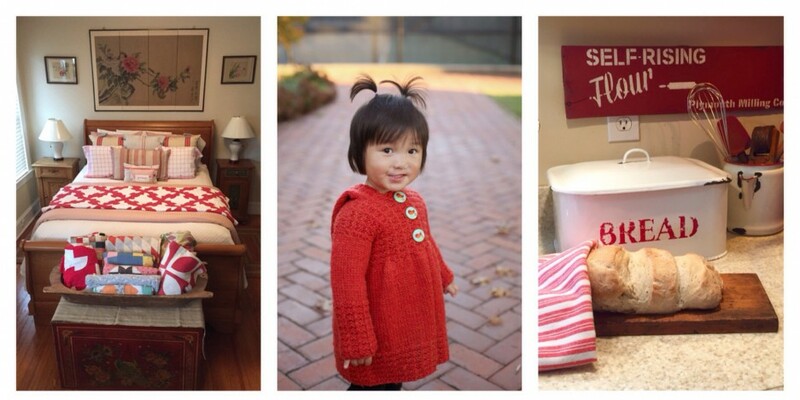 My thoughts turn to cozy days with family, contemplating my New Year’s resolutions (how is that going for you?) and finding ways to bring a more simple decorating touch to my home, hopefully more minimal than austere. I find bringing outside elements inside, using darker tones and bumping up the cozy factor helps make the often dreary days of January more bearable. Come in and enjoy some tea with me! Greenery and berries in a wooden dough bowl is an easy way to bring in the outside. 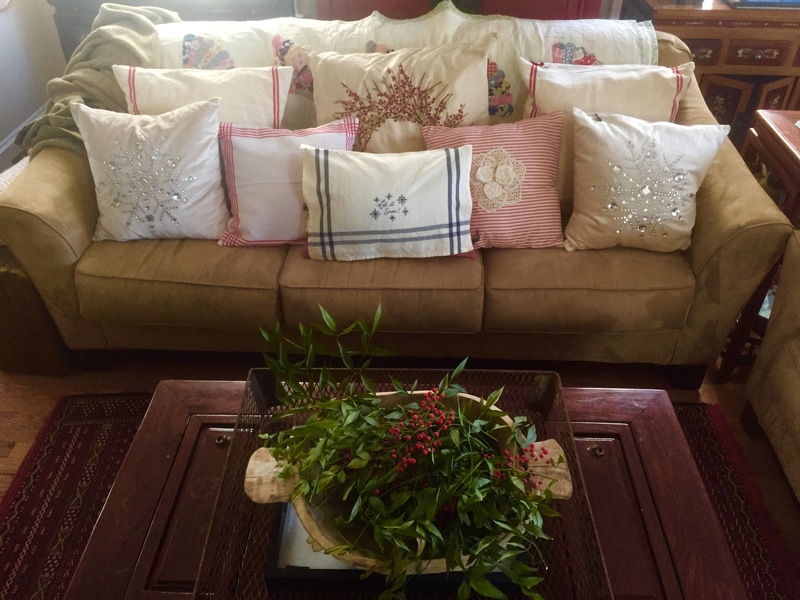 Snow pillows await a good, snuggly snow day. 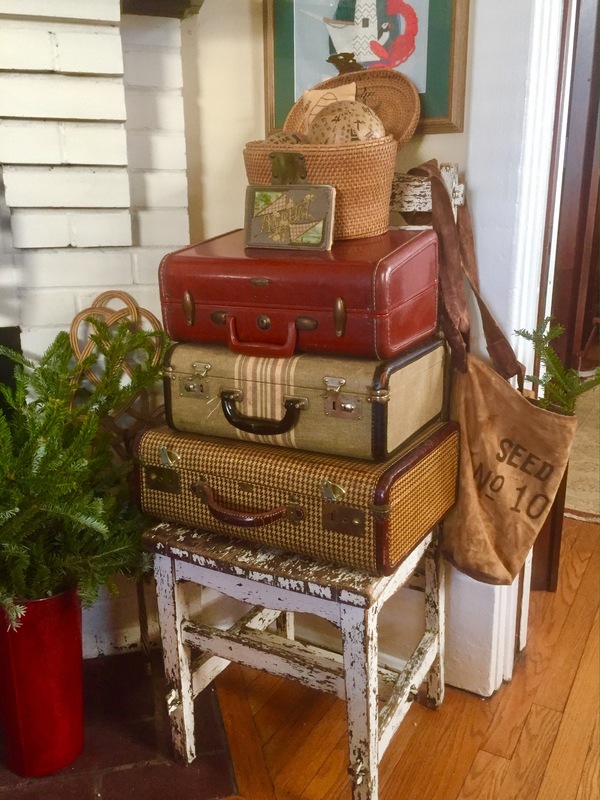 Vintage suitcase stacked on an early Arts and Crafts era chair are the perfect tones for winter decor. The vintage autograph album was a find on my honeymoon in Maine! Adding berries and pine cones to a table in the foyer provide a simple pop of color. The folk art rug is from Poland. I love the graphics. And does anything say cozy more than a herd of woolly sheep? 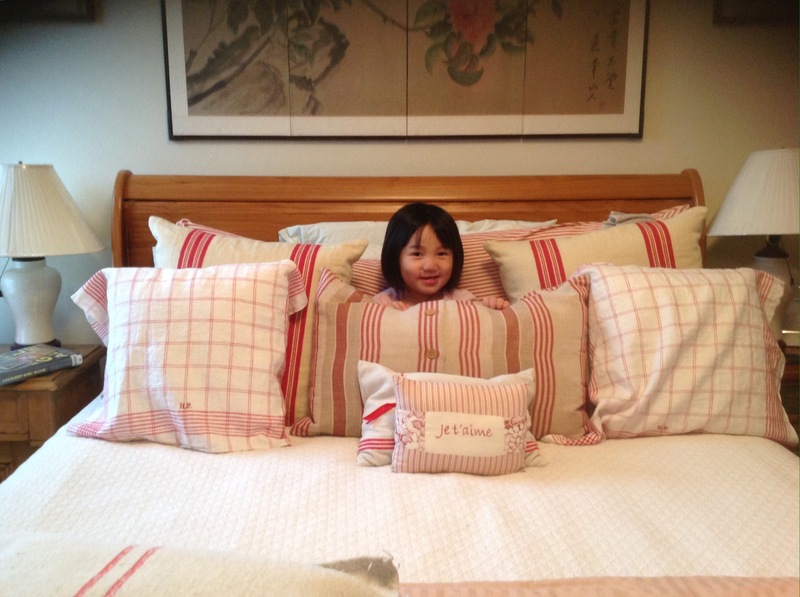 The Princess is enjoying cozy, inside activities…let’s hope she still delights in washing dishes in about ten years. Show and share. Inspire me Monday. Tuesday at our house. The scoop. Inspire me Tuesday. Make it pretty. Art of homemaking. Made by you. Metamorphosis Gods great garden. Create with joy Tuesday with a twist. Let’s talk vintage Wonderful Wednesday. Share it. Brag about it. Wow us Wednesday. Talk of the town. Moonlight and Mason jars. Work it Wednesday. Share your cup. Share your style. Home and garden. Welcome home. Thursday favorites. Waste not. Simplify Coffee and conversation. 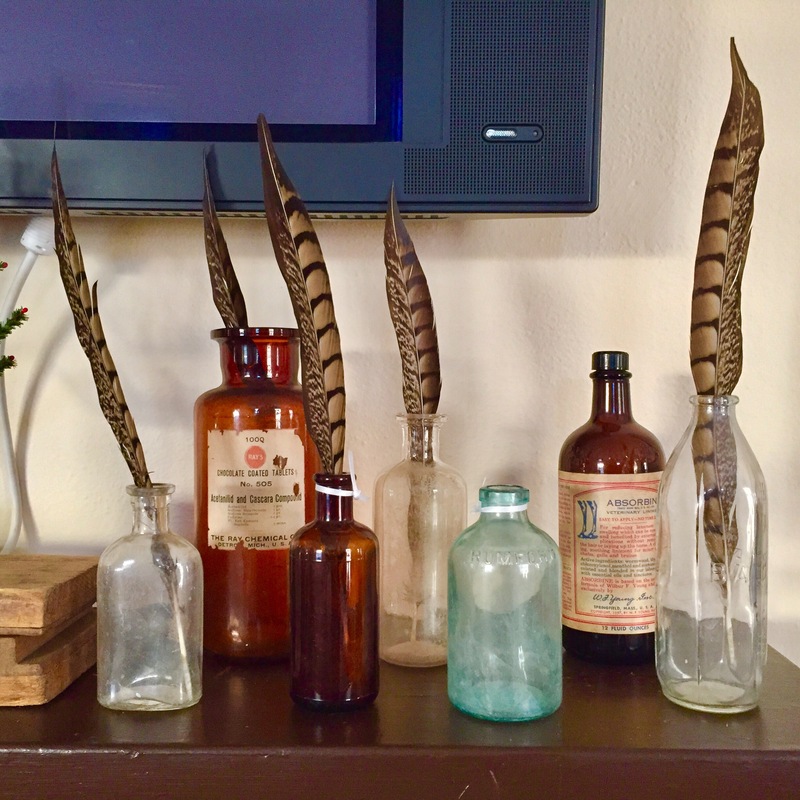 Feather nest Friday. Vintage charm. Friday Features. Friendship Friday. Home sweet home. Your inspired design. Grace at home. Funtastic Friday. Morning cup of joe. Home matters. Sweet inspiration. Vintage chic. Oh hey Friday. Best of the weekend. Tada. Snicker doodle. Share it one more time. Simple Saturday. Sunday at home. Silver pennies. Create with joy. Inspiration Monday. Digging it. Let’s add sprinkles. Amaze me Monday. Show and share. Inspire me Monday. Tuesday at our house. The scoop. Inspire me Tuesday. Make it pretty. Art of homemaking. Made by you. Metamorphosis. Gods great garden. Alas, the first winter snow brought the first winter colds. Enjoy the selections and I will enjoy my warm, soft bed for a few hours. Everyone stay safe and healthy. Nothing like a little after Christmas snow to raise your hopes for a snow day! Alas, to the great disappointed of the children on the block it snowed, but on a Saturday. 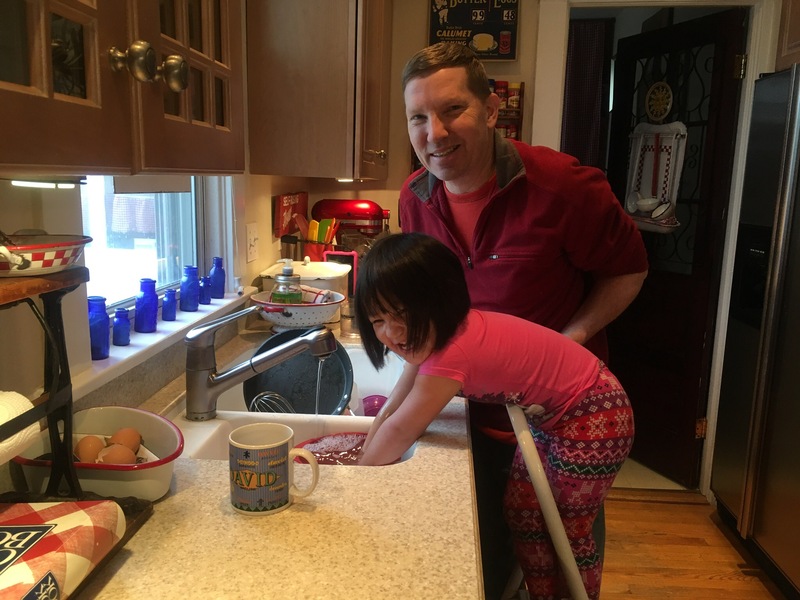 It did give us time to stay in and “de-Christmas” and put our household back in order after a busy and exciting holiday season. 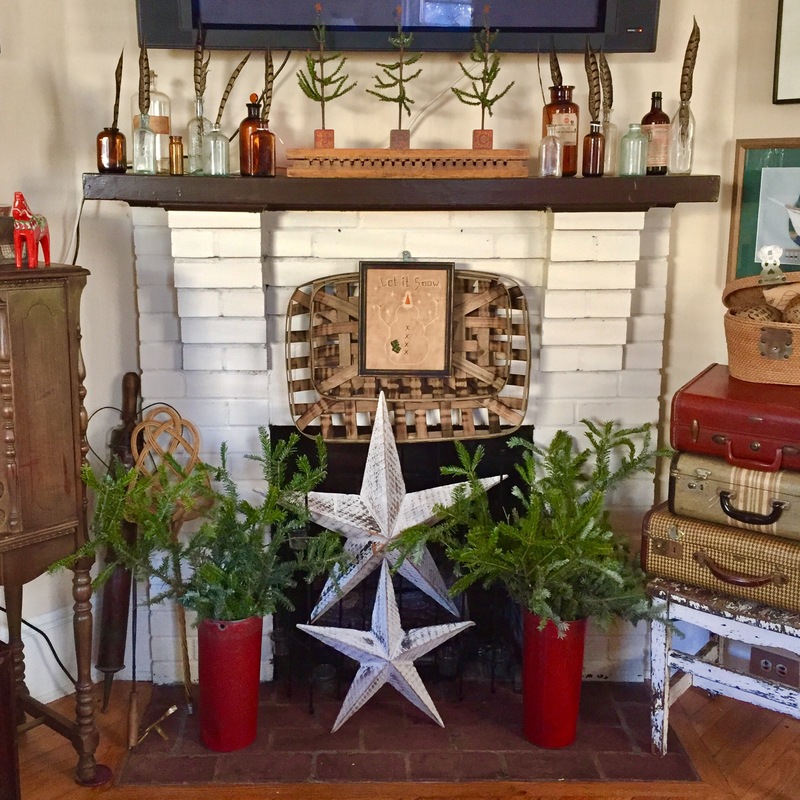 I like to take the mantel decor to a more simple display, keeping some of the holiday greenery and berries. 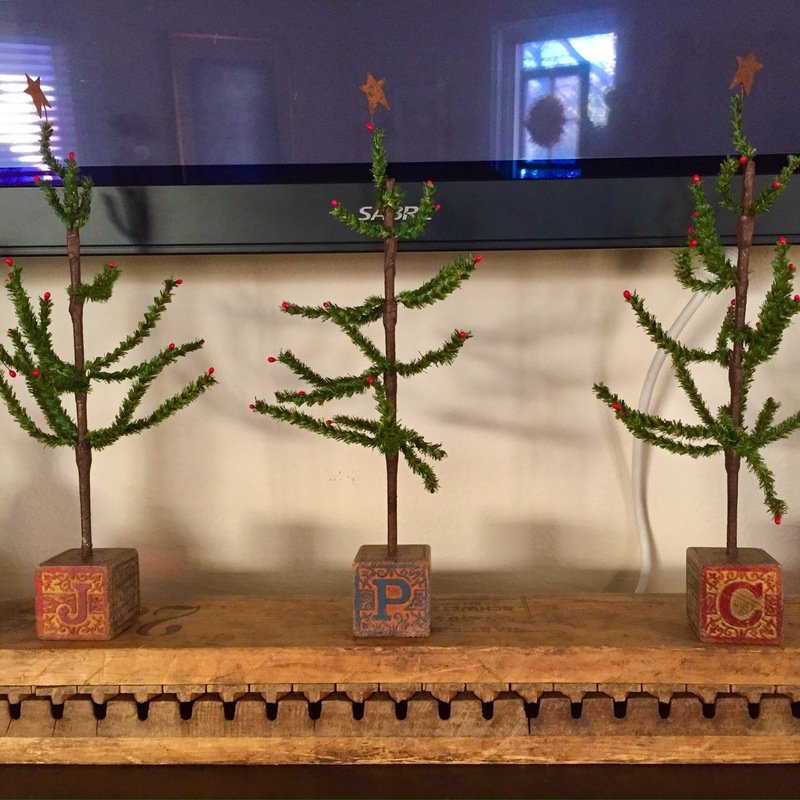 The primitive trees on building blocks are some of my favorites and I am glad to keep them around a bit longer. 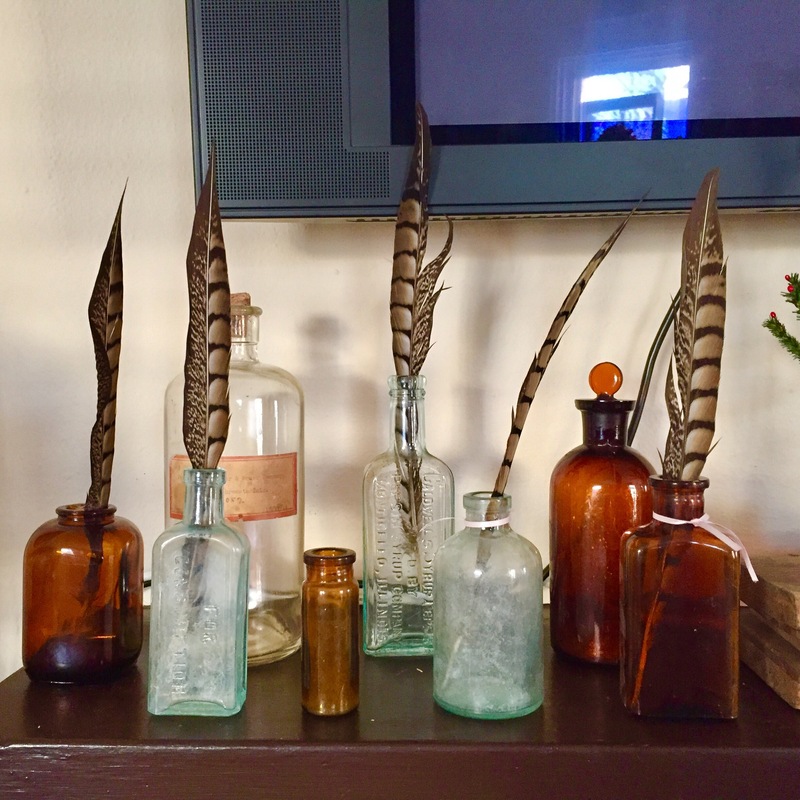 A few bottles with feathers completes the winter look. The Princess enjoyed the snow but seems to be dreaming of warm summer boating adventures. She will be disappointed to learn that a boat is not in our future.